Ten teams namely, Labasa, Rewa, Suva, Lami, Navua, Nadroga, Nadi, Lautoka, Ba and Tavua will be competing for top honours. Defending champion Suva and last season’s runner up Labasa will be the team to look out for. From the reports we have received the Fiji FA technical department understands that teams are preparing well for this event. We wish all the teams the very best for the upcoming tournament in Ba. 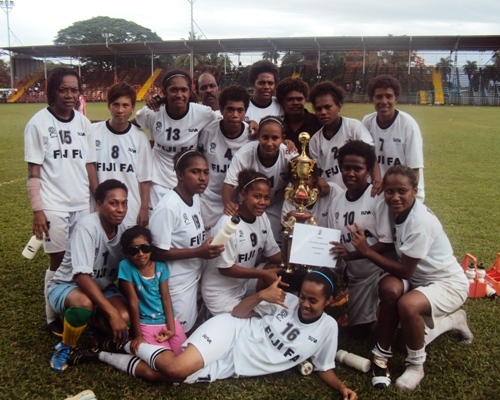 The 2012 Fiji Football Association Bargain Box Women’s IDC will start this Friday and conclude on Sunday. The general public is encouraged to come forward and support women’s football. Entry at Govind Park will be free.